I read the last couple of CCP dev blogs with interest. They are worth a bit of review and commentary. First, a few words about the announcement about Planetary Conquest - the use of DUST 514 mercenaries to take ownership of districts on planets, and therefore provide bonuses to Player-Owned Starbases anchored above moons orbiting the planet with those conquered districts. "DUST bunnies" are about to get very popular with industry-minded corps and alliances in EVE. This is currently only of interest to a few EVE alliances who have started "DUST bunny" corps as members. For example, DUST University is a DUST 514 mercenary corp that is part of the Ivy League Alliance, of which my own EVE University corp is also a member. So, if D-UNI ground troops take over districts on a planet, any E-UNI POS anchored over moons of that planet will receive bonuses for improved manufacturing time or reduced fuel consumption. Initially, Planetary Conquest is limited only to temperate planets in the low security space of the Molden Heath region, but CCP's intent is to roll it out throughout all of New Eden once they is confident that the system is working as intended. The bonuses to POS effectiveness and efficiency are not insubstantial. Once Planetary Conquest becomes a widespread feature, I think this will drive alliances to add their own "DUST bunny" corps, so that they can take advantage of the obvious production benefits. Additionally, it may also encourage manufacturing-oriented independent corps to seek alliances with strong DUST mercenary corps, who can then provide them with competitive POS performance bonuses. CCP also said they intend to provide Planetary Conquest bonuses for Planetary Interaction operations, sometime in the future. That will only increase the attractiveness of building a competent DUST infantry corp in alliance operations. 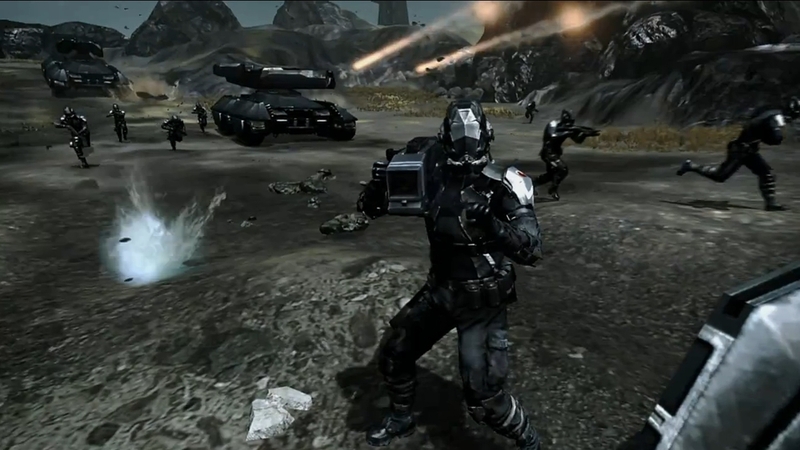 I only wish that DUST 514 did not require a Playstation console to play. If they ever port it to the PC, I'll definitely give it a try - I am not a console gamer. Meanwhile, I'll let Dennie Fleetfoot and his D-UNI mercs do my district-taking work for me. UPDATE: CCP announces that Plantetary Conquest bonuses will be delayed until May 22nd. Also announced by CCP is an exciting new option in the upcoming Odyssey expansion - dual character training. This will allow players to activate a training queue for an additional character in their main account for a month, in exchange for a PLEX. This will be very useful for training "utility" characters for a specific, limited purpose: hauler, miner, trader, manufacturer - anything that only requires a few weeks of training to make a useful alt character. Now you can have this character in your main account and not have to pay ongoing monthly subscription fees, once they are trained. The potential downside is a further increase in the demand for PLEX, which could drive already escalating prices even higher in the markets. However, CCP assures us that they've studied the potential affects of this new feature on market dynamics, and that it will all be alright. Uh-huh. Sure, CCP - I totally believe you. Now, please excuse me while I join all the other PLEX speculators - and wow, what a suddenly large group they are now. I wonder why? Is dual character training a good idea? It all depends on how you value your time. You can train another character in your main account now, for free, by just turning off your training queue on your main character and turning it on for the alt character. I have done this twice: for a small-scale trade character and for a small corp CEO character, delaying training on my main character by a couple of months. Is it worth well over a billion ISK to not interrupt training on your main character for sixty days? That is essentially what you are doing if you use this dual character training option for two months. Frankly, I find it hard to justify this level of investment in what will still be a relatively low-skill utility character. No doubt such a character is handy - and I use mine frequently - but I can't fathom why someone would not exercise a little patience and simply switch their training queue for a while, at no additional cost. 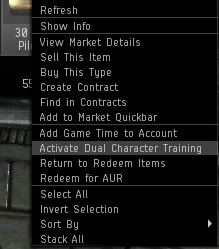 Still, for the excessively ISK wealthy and over-caffeinated impatient players out there, the dual character training for PLEX option is a handy option. Kudos to CCP for thinking of it. Now, if I'm guessing right, PLEX will continue to go up, as a result, and I will get in-game rich. We shall see how that goes. On May 6th, you will be able to drop from a corp immediately if you are docked in a station, instead of having to drop roles and then wait 24 hours to quit the corporation. This one-day delay was always a pain for players, and CCP is right to get rid of this archaic mechanic. I'm very eager to see how all these changes play out! So far, I generally like what I see and am hopeful that Odyssey will be a successful expansion. We shall see in early June! Posted in Commentary and tagged with DUST, dev blog, Planetary Conquest, Odyssey. May 15, 2013 by Neville Smit.